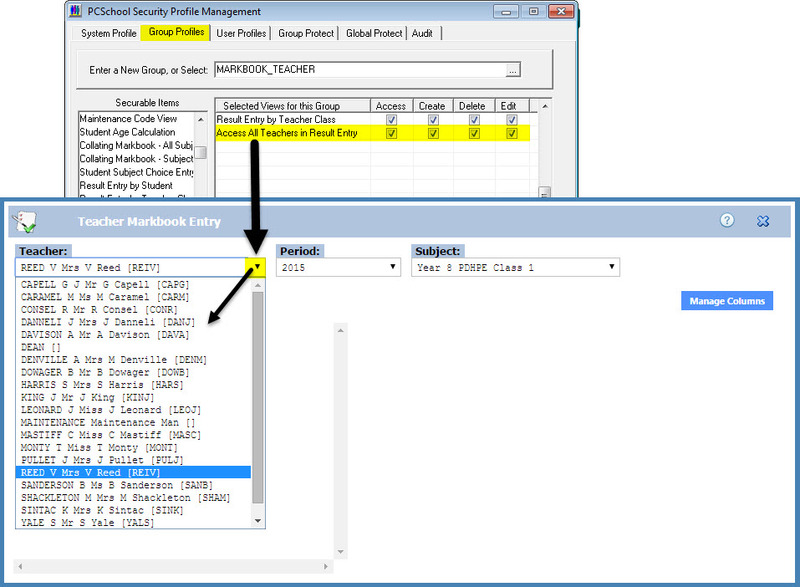 For teachers to save results in their class markbook to student results the ‘Enable Result Sync.’ boxes must ticked in the Curriculum Control Files as shown below. Some schools may choose to have teachers save the result only to the markbook (not directly to the student results) and then have the subject coordinator review the results in collating markbook before saving to results. 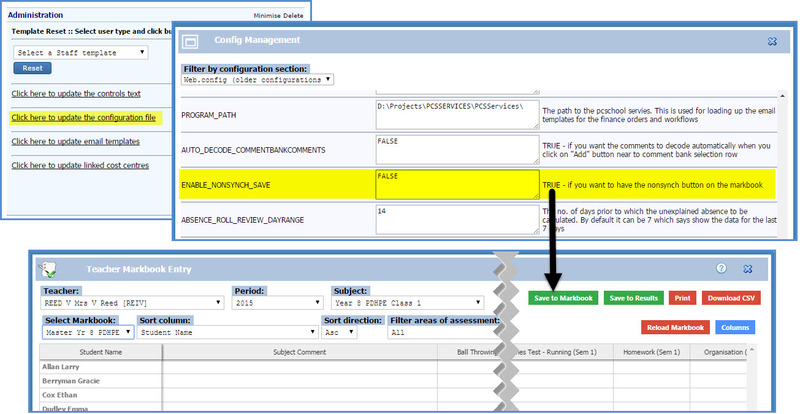 THIS IS NOT RECOMMENDED but can be set as an option through the configuration file as shown below. Teachers by default will be able to see the subject classes that they teach and not be able to select a different teacher and view their subject classes. This may be adequate unless a class is shared by two teachers or the curriculum coordinator wants to view an individual teachers class. 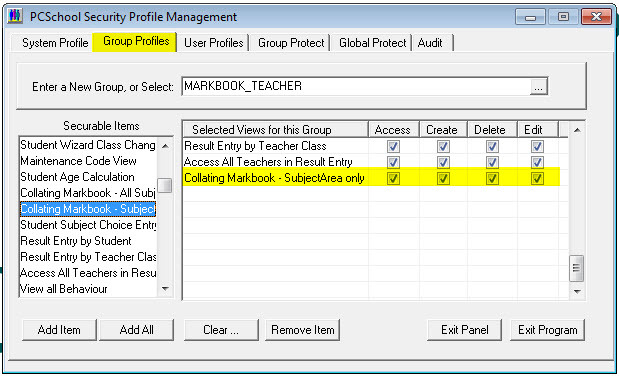 To allow teachers to select a different teacher they need to have the ‘Access All Teachers in Result Entry’ assigned to them in security as shown below. 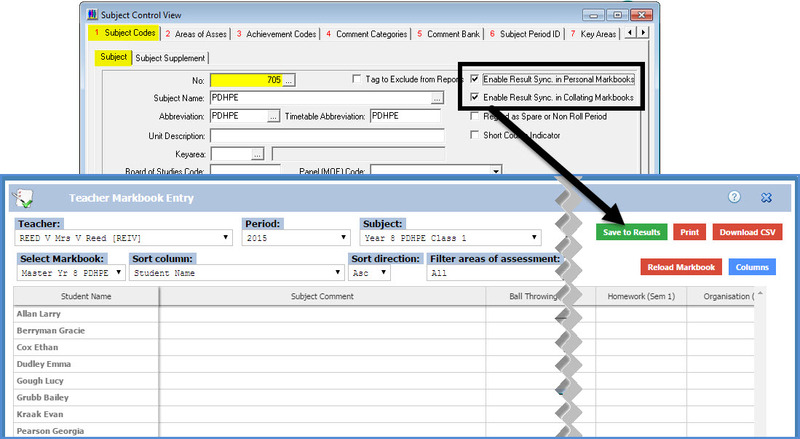 Subject coordinators will want to see the collating markbook for their subjects. The collating markbook will show all the students in the year studying that subject not just a single teachers class in that subject. 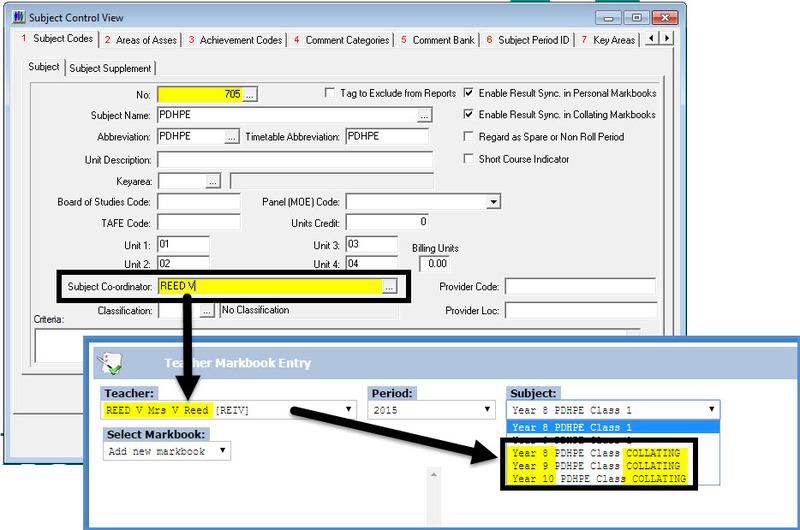 To allow teachers to see collating markbooks for their subject area they need to have the ‘Collating Markbook-SubjectArea only’ assigned to them in security as shown below. 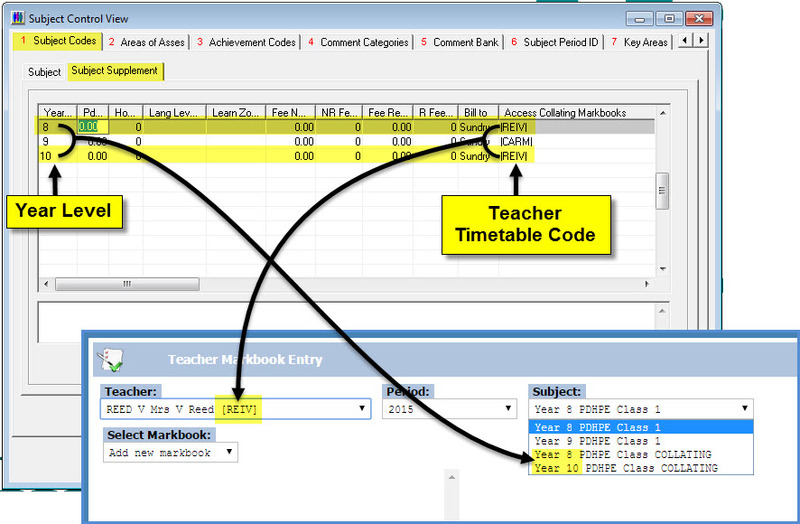 Next in the Curriculum Control Files you can set an overall subject coordinator that can see all year levels collating markbooks, or you can set coordinators that can only see the collating markbooks for a single year level or group of year levels. 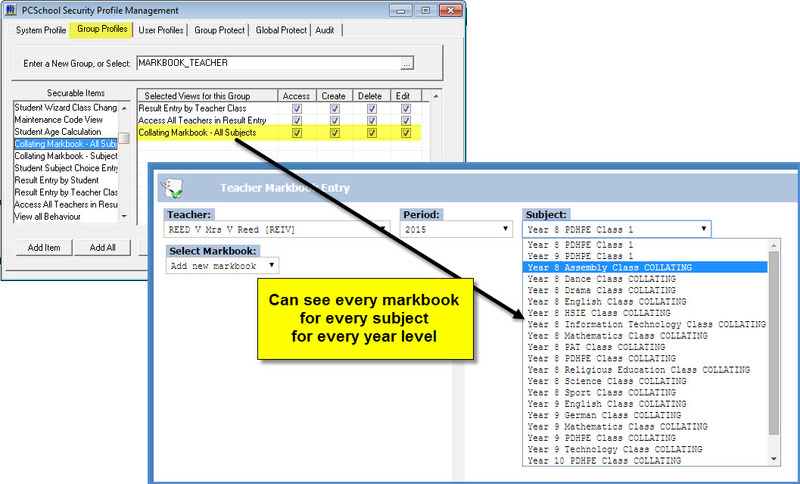 To allow teachers to see ALL collating markbooks they need to have the ‘Collating Markbook-All Subjects’ assigned to them in security as shown below.